We’re delighted to introduce contributor number two this year, Skyes Audio, bringing us over 60 sounds from across their successful libraries. There’s a really interesting breadth of subject matter here and, in this article, we’ll take a whistle stop tour. If it’s abstract and sci-fi sounds you want, this new collection won’t disappoint. 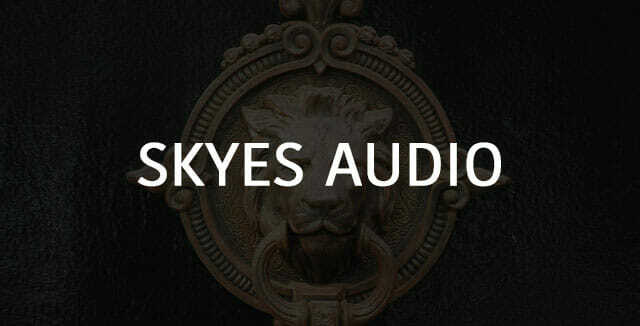 There are growls and hums aplenty that come from Skyes Audio’s Augmentation elements library. The sample we have for you features pass-bys, risers and other accents like this one. These sounds are very distinctive while sounding similar enough that they could be blended to make longer evolving pieces or used to illustrate various different events in the same context, as well, of course, as being good choices for use in isolation to create a mood, mark a transition or serve some other growling purpose. The contribution also features drones like this threatening, throbbing, oppressive piece of distorted goodness. This contribution specializes particularly in vintage and old sounds. There is a batch of recordings of an old dot matrix printer, which is particularly noteworthy because the individual sounds the machine makes are presented as discrete files, enabling you to have absolute control of the pattern of printing the printer in your production produces. This may be of particular use to game and app developers. Dot matrix printer sounds are also a rich source of material from which to design robot and other machine sound effects with the right processing. There are also old door sounds captured in abandoned houses and mansions complete with a touch of reverb, which adds authenticity and a sense of pathos. There are wonderfully characterful squeaks, a door groaning, keys in locks, a wardrobe door, various takes of a door being bolted and unbolted and a great sounding door that sticks. There’s also a warehouse door including sounds of it being hit. There’s something very evocative about the sound of breaking glass and it’s useful in so many contexts in the field of audio production. This contribution features a group of sounds taken from Skyes Audio’s Shimmering Shards library, a comprehensive review of which will be published shortly. There are several bottle breaks and other sounds of glass grinding and tinkling. Check out this bottle break. The sound of the sea is also very evocative and there are some really useful variations of that here with different size waves, spray splashing and so on. These really majestic waves caught my attention in particular. We’d like to thank Skyes Audio once again for this really versatile contribution. Check out the sounds for yourself and see which ones would fit best into your projects, then check out his site for more. If you’d like to contribute sounds or music of your own to show us how you hear the world, we’d love to hear from you so get in touch.